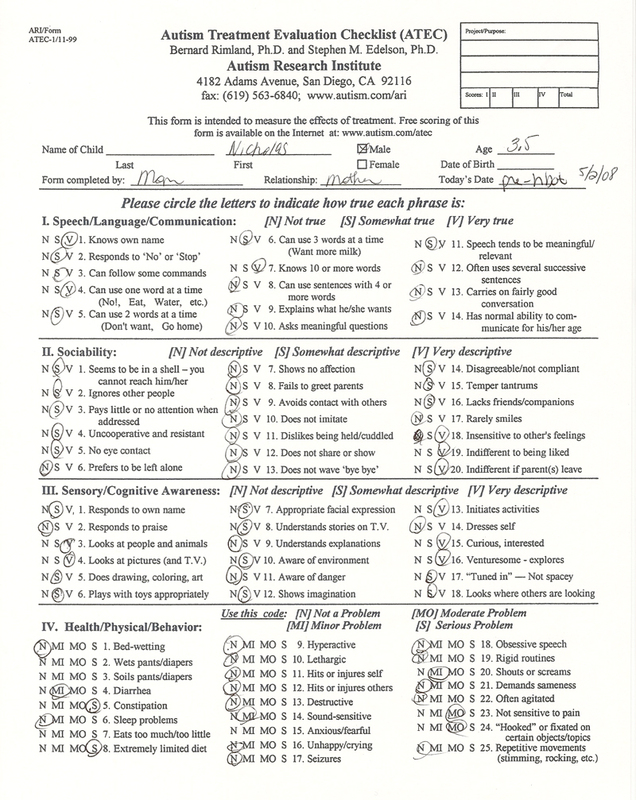 For our own measurement, I filled out the ATEC (Autism Treatment Evaulation Checklist) form. Click anywhere on the form to view. « How could having e. coli bacteria be beneficial?